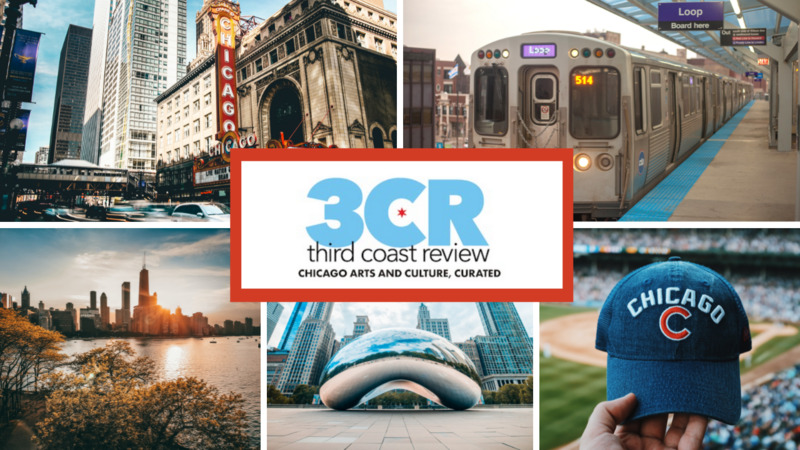 Welcome to Third Coast Review, Chicago’s locally curated website, specializing in Chicago-area arts and culture coverage. We’ve been bringing you news, previews and reviews about theater, film, music, visual arts, books and food since January 2016. Our editors and many of our contributors are alumni of Gapers Block, the Chicago-centric website launched in 2003. When Gapers Block went on hiatus in January 2016, we launched Third Coast Review so we could continue writing about our favorite Chicago subjects. Read about our editors here and check out each page. See Our Writers page for info about our other contributors. We are a small business and we hope you will help us grow by visiting our Patreon page and becoming a patron. Stages is edited by Nancy Bishop. Nancy Bishop is a Chicago native, liberated after 30+ years in corporate marketing and PR, to write about things she loves, especially theater, film, books, music, art and design. Nancy is a member of the American Theatre Critics Association and a 2014 Fellow of the National Critics Institute at the Eugene O’Neill Theater Center. You can read her personal writing on pop culture at nancybishopsjournal.com, follow her on Twitter @nsbishop and email her here. Nancy is editor and publisher of Third Coast Review. Screens is edited by Lisa Trifone. Lisa Trifone has worked in independent film for over a decade, at film festivals across the country and supporting the theatrical and digital releases of award-winning films. A Chicago native and general culture fiend, she owns her own marketing and publicity consulting firm, 11th Street Lot. Follow her on Twitter and Instagram. Email her here. Games & Tech is edited by Antal Bokor. Antal Bokor is a game writer from the northern suburbs. He grew up watching in awe as his mom conquered NES classics like Kid Icarus and Metroid, which inspired his love for video games. Antal’s interests range from video game history to music and development. When he’s not playing Super Mario World or Dark Souls with his girlfriend, they’re tackling cooking adventures together. You can find him flying spaceships with his trusty space-cat or on Twitter @TheAntalBokor. Email him here. Lit is edited by Dan Kelly. Dan Kelly has been a writer and editor for 30 years, contributing articles and essays to the Chicago Reader, Chicago Journal, The Baffler, and other publications. His favorite writing subjects are art, comics, Chicago, history, architecture, horror films, and music—for starters. Email him here and visit his Twitter feed at @mrdankelly. Email Dan here. Food is edited by Cynthia Kallile. Cynthia Kallile earned her reputation for being a food entrepreneur with the creation of the Meatloaf Bakery. Her creative and artistic meatloaf recipes wowed customers across the country for nine years. Author of The Meatloaf Bakery Cookbook, Comfort food with a twist, Cynthia still loves to cook, write and speak about her experiences with ingredients, techniques and delicious outcomes. Email Cynthia here. Beyond is edited by Marielle Shaw. Marielle Shaw writes and takes photos for both Third Coast Review and Chicagoist, where she’s captain of the nerd beat. A native to the Chicago area, she found herself a desert dweller at heart and still wishes she could mash-up the state of New Mexico and city of Chicago somehow. She has a wonderful boyfriend and lives wayyy up north with lots of cats and not enough bathrooms, and can often be found tending to her garden or cooking up some good eats while she binge-watches some Netflix or tries to defeat her latest video game nemesis. You can keep up with her on her personal blog (www.tarantella23.blogspot.com) or on twitter at @rosesarered23. Email her here. Aaron Cynic writes and edits Third Coast Today. Aaron Cynic is an independent journalist and photographer based in Chicago. For eight years he was a regular contributor to Chicagoist, a co-founder of Visu.News, and his work has appeared in Progress Illinois, Alternet, Truthout, In These Times, Nation of Change, The Daily Line, The Huffington Post, Shareable, and more. Email Aaron here. Julian Ramirez edits the Music page and curates the 3CR Calendar. Our high-energy Music page and the all-important calendar of upcoming events are presided over by Julian Ramirez, who scoops up interesting Chicago-area events wherever he can find them. His rule: It should be something you want to go to or would recommend to your friends. Julianis a natural-born Chicagoan who graduated from UIC with a BA in Creative Writing. He spends most of his sleepless nights indulging in as much art and media as he possibly can. You can read more of his writings on all his creative obsessions at orgasticfutures. Email him here. Andrew Huff is our special adviser. Andrew Huff co-founded and was editor and publisher of Gapers Block from 2003 until January 2016. He thinks Chicagoland is the best amusement park ever. A lifelong night owl, Andrew works deep into the night at his West Ridge two-flat, writing and editing and playing with the cats. He spends more time online than probably is healthy, but he’s trying to change that. See what he’s up to at me3dia.com. Our 3CR logo is designed by Linda Pompeii. You can contact her here to see more of her fabulous work. Web design and development. Our website developer is Utopian Designs, led by founder and CEO Julien Kos. Utopian Designs worked with us from the beginning of our dream to launch Third Coast Review in 2015. Julien was very involved every step of the way–in design, web development and ongoing support. We can say wholeheartedly that if you’re looking for excellent development and support for your website, check out Utopian Designs. Most of the banner photos on our home page are by Christopher Riha and Aaron Cynic. See more of their work here and here. Other photos in the banner header are from a stock photo site or by 3CR staff. Photos that accompany posts are by authors or are provided by the arts organizations. We try to give credit for every photo we use in posts. If you see a photo that has the wrong credit or is missing a credit, please let us know by using the contact form in the footer. The term third coast has been in common usage for years. There’s a guitar shop, a café, and, of course, there’s Thomas Dyja’s book: The Third Coast: When Chicago Built the American Dream. There’s also a Third Coast Magazine at Western Michigan University (yes, Michigan also can claim the third coast, although maybe theirs should be designated the fourth). We like identifying ourselves in this off-kilter way and hope you enjoy our online-only coverage of a wide range of arts and culture topics. Check back daily because we’re always in motion. Want to write for Third Coast Review? If you’re interested in writing for Third Coast Review, please fill out our Contact Us form (you’ll find a link in the footer). Tell us about your arts and culture interests and writing experience. Include links to your writing samples if possible. Email your event info to Julian Ramirez, calendar editor, or use the Contact Us link in the footer. Be sure to include complete time, date and address information as well as links to the event page and to a contact person. Send other story ideas to this address or to the section editor above. Do you have a newsletter where I may sign up? Gaper’s Block is gone :(. Long live 3rd Coast!